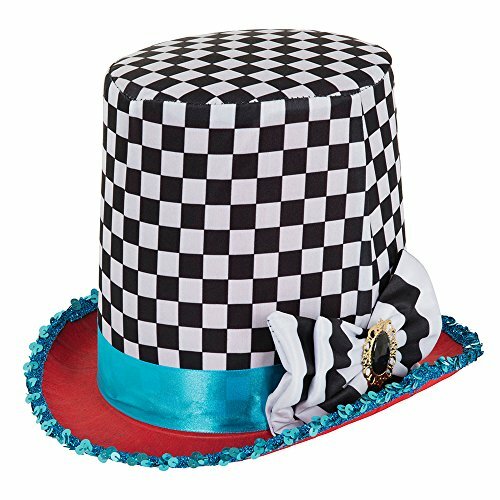 This brilliant Stovepipe Mad Hatter chequered hat is the perfect choice for your Halloween party or themed event. 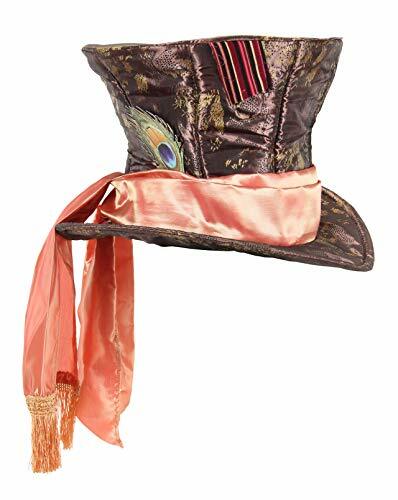 This hat is the ideal choice for a Mad Hatter inspired fancy dress costume for world book day! Checkered Mad Hatter style stove pipe top hat. Superior Quality BZany novelty hat with size adjuster. A checker madhatter hat for supporting your favorite team! Available in Black and White. Top off your look with this black and white striped mini top hat with red ribbon trim and brooch embellishment. Rock that gothic look when wearing this black and white striped mini top hat. "Have I gone mad?" Be the maddest hatter in Wonderland in the Alice Through the Looking Glass MadHatter Hat by elope. 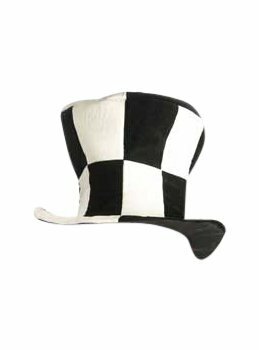 Slide on this Madhatter Hat and join Alice's adventures on the other side of the glass. 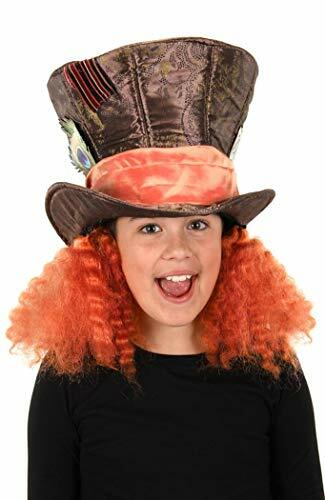 This small Madhatter Hat is finished with soft imprinted taffeta fabric, and detailed with wide orange fabric band. 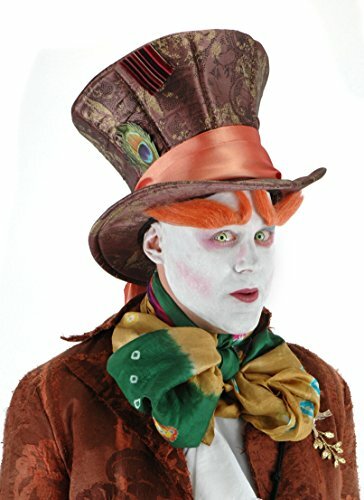 Classic orange Madhatter hair, peacock feather, and signature 10/6 badge add authentic finishing touches. Made of 75% polyester and 25% cotton with fabric lining and velcro size adjuster. Fits smaller head sizes - 57-58 cm or 22.5 inches. Officially licensed by Disney, Alice Through the Looking Glass. Another high quality funnovative wearable by elope! Dorfman-Pacific Co., Mad Hatter Top Hat, 100% wool, 7 1/8, 8" tall. 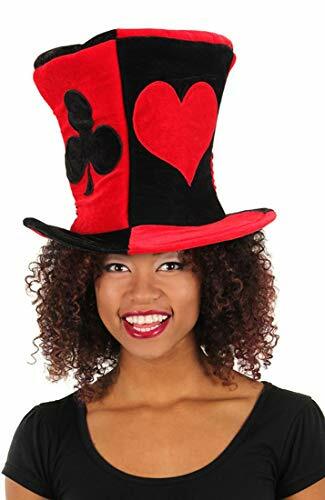 Get ready for Halloween with a Mad Hatter Hat made from old postal boxes and envelopes, black fabric and glew... Be sure to test the fabric first to make sure it will stick to the cardboard hat. If you don't Alice will never speak to you again.